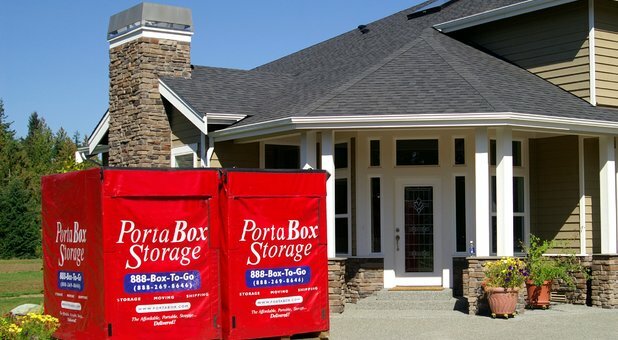 PortaBox Storage is the convenient way to handle your storage or moving needs. Our containers are designed for ground level loading and by placing them just steps from your doorway this allows for easy loading. 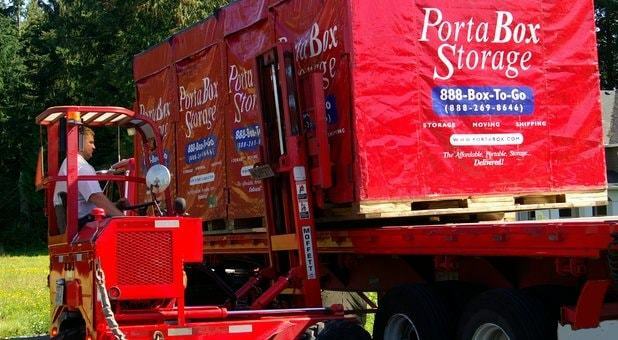 Up to eight containers can be delivered to you at a time for one delivery charge, and the great thing about PortaBox Storage is that you only pay storage for the containers that you actually end up using. (This only applies to our 5’x8’x8' (WxDxH) containers that are picked up and stored in our secure warehouse or relocated along the Wasatch Front). Call today to schedule your delivery at (801) 331-5799. Lockable Plastic Box - Store A Box Worth of Material When You Don't Need A Whole Container. Holds About A Studio Apartment. Holds About A One Bedroom Home. Holds About A One & Half Bedroom Home. Holds About A Two Bedroom Home. Holds About A Three Bedroom Home. Holds About A Four Bedroom Home. Holds About A Five Bedroom Home. Holds About A Six Bedroom Home. Boxes, Locks, & Packing Supplies Can Be Sent With Your Container Delivery At No Additional Charge. 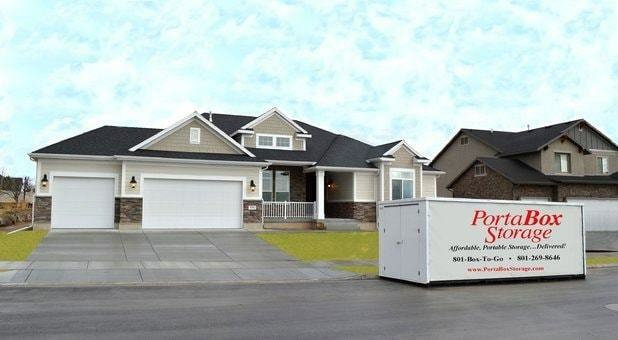 Are you looking for affordable and convenient mobile storage containers in Salt Lake City, Utah? PortaBox Storage offers the simplest solution around! Portable storage, also often referred to as storage containers, mobile storage units, and mobile storage containers, are enclosed containers used to move and store your belongings. They vary in size, material and durability, depending on the company providing the container. While there is a company called PODS®, that rents storage containers, there are numerous other options available for mobile storage. 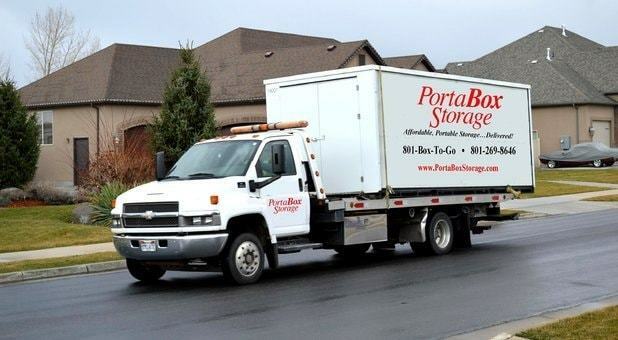 PortaBox Storage deliver’s spacious mobile storage containers to your location, where you can fill them at your leisure. If you’re renovating your home or business, you can keep the container until you’re finished. 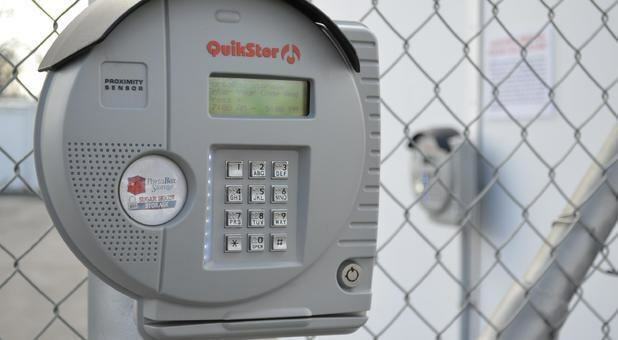 For customers interested in more long-term solutions, we can also transport your container back to our warehouse, where motion detectors, fire sensors, controlled gate access, and 24-hour video cameras will ensure it stays safe and sound. Our family locally owned and operated, mobile storage company is dedicated to providing you with the best storage options available. We offer a variety of container sizes, from 5’x8’ containers to 8’x20’ containers. To make things even easier for you, we also sell boxes and other supplies. There’s no need to trek all over town to buy packing materials! Stop by our office anytime between 8:00 a.m. and 5:00 p.m. Monday through Friday and pick them up in one convenient location. You also, may order packing materials over the phone and have them sent with your container delivery. You’ll find us at 450 East 2200 South (Wentworth Ave) near St. Ann's Catholic Church and Sugar House Archives & Shred. 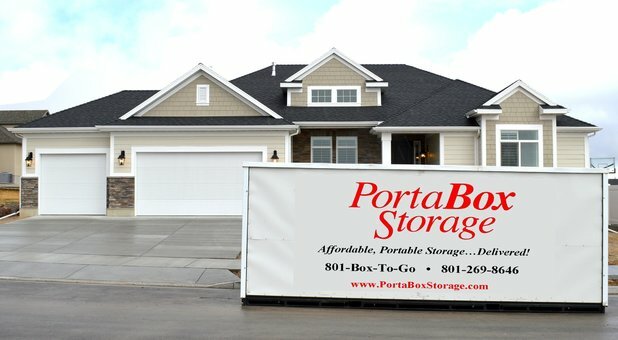 PortaBox Storage is the oldest and most trusted provider of mobile storage in Utah. Just check out our comparison to PODS®, and you’ll see we’re the right choice! PODS® is a registered trademark of PODS Enterprises, Inc., and is used here for comparative purposes only. Easy process start to finish. John is awesome to work with polite and flexible. The best way to move! I love how easy the Portabox storage containers were to load and unload! You can walk right in rather than lifting on to a truck. We had the box dropped off at our house for a week while we loaded our things up until we moved. This was so convenient to get things out of the way on our own timeframe. Once we finished packing and locked the box with a lock we purchased from Portabox, they came to pick it up until we were ready for it to be dropped at our new place. Unloading was finished in one day and they picked the box up a few hours after we finished, communicating through text to ask when we were done. I loved using Portabox and would absolutely recommend it! Great Price and Great to Work with! When looking for a place to store my belongings while my house was being renovated everyone I called had you leave a message and they would get back to you. No one did except Portabox! They called me right back and their prices were better than all the others. Scheduling and pick up were so easy! I would use them again for sure! 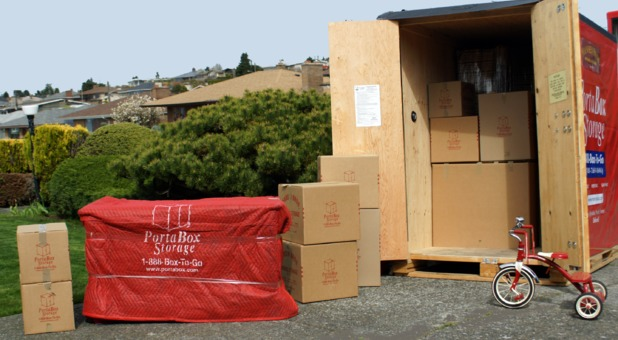 With PortaBox Storage containers you only have to load your belongings once, meaning no loading everything into a truck and then unloading into a storage locker like with mini-storage facilities. Our containers are flush with the ground so you can walk right in and are built to accomodate up to 2000 pounds! Simply secure the container with your own lock or purchase one from us and we'll take care of the rest. How do I order a storage container? Yes, one month minimum storage fee per container. You don't have to store for a month, but we will charge you for the first full month. Yes, the charges are based on ZIP codes or you may choose to bring your belongings to our facility. The charge are based on the distance from your location to our warehouse location. View our Delivery Rates page for more information. You may pay by Cash, Visa, Master Card, Discover Card, or American Express. Do you have any information that can help me get organized for my move? See our Moving Check List section for some useful ideas. 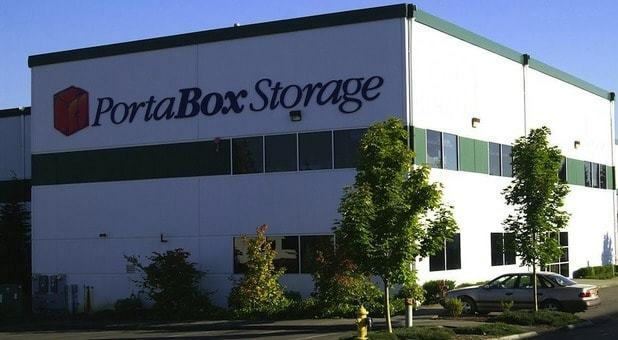 How long has PortaBox Storage been in business? Since the year 2000. But our parent company has been in business since 1907. How long can I keep the container(s)? Normally we allow our customers to keep the containers for 7 days to load or unload their items. If this is not enough time, we are willing to work with each customers unique situation. Just explain your circumstance to our customer care representative. What size containers do you offer and how much will they hold? 5'x8'x8' (WxDxH) = 320 cube ft. or 1 ½ to 2 rooms of furniture or up to 2,000 pounds maximum. (Store In The PortaBox Facility.) If you need to know how many containers you might need, refer to our Sizing Guide. What are your containers made out of? Our sturdy and roomy 5’x8’x8’ (WxDxH) wooden containers are equipped with a heavy duty lever action locking systems, heavy duty flooring, and double reinforced doors. Unlike metal storage containers, our wood containers reduce the risk of damage to your items and helps prevent condensation, mold, and mildew from ruining your belongings. While the containers sits on your property each container is covered with a weather resistant cover that protects the container and its contents against the elements. 8'x10'x7' 6", 8'x12x7' 6"', 8'x15'x7' 6", 8'x19'x7' 6", and 8'x20'x7' 6" (WxDxH) containers are made out of metal. What is the best way to load my items? See our Loading Tips section for some useful ideas. How do I load my items safely? You might consider renting pads from us. View our Packing Materials page for more information. What items can I not store in my container? See our list of some of the most common Non Allowables items. Will you load &/or unload my container for me? We do not offer moving services. We would be happy to recommend a local mover. 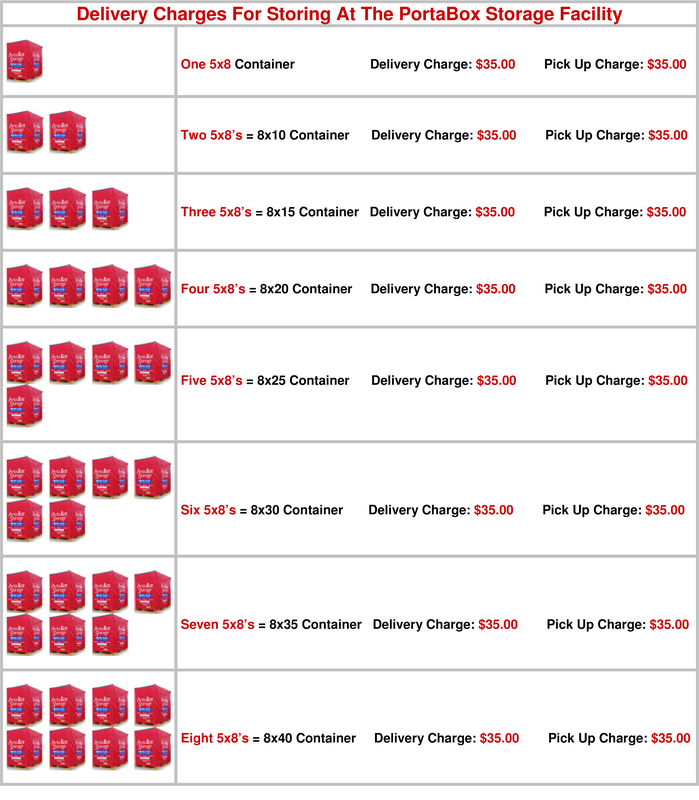 What if I don't use all the containers I ordered? If you order more storage containers than you end up using, you will receive a full credit for the unused containers. (This only applies to our 5’x8’x8’ (WxDxH) containers that are picked up and stored in our secure warehouse). What if I don’t have a lock? You can order locks when we confirm your order or purchase them from the driver. View our Packing Materials page for more information. Do I have to be there when they are delivered? We prefer that the account holder is present at the time of delivery to direct the driver where to place the containers. If you absolutely cannot be there we can make arrangements to have you make a diagram where to place the containers. Call (801) 331-5799 tell us the delivery ZIP code and the date you'd like to schedule the redelivery. There will be a charge for redelivery at the then prevailing rates to the normal local delivery area. Can you move my container to another state? No I'm sorry we do not provide that service. How can I get access to my storage container? To access your container, please give us 24 hours advance notice, have your account current, and show Photo ID when you arrive. (Available Monday – Friday 8:00 a.m. to 5:00 p.m.) View our Access My Storage Container page for more information. Can I put the container in the garage or carport? For insurance reasons, we're not able to place containers in your garage or carport. The containers must be placed on a firm, fairly level surface. How many containers can I get at one time? Our 5'x8′x8' (WxDxH) we can deliver up to 8 containers for one delivery charge. 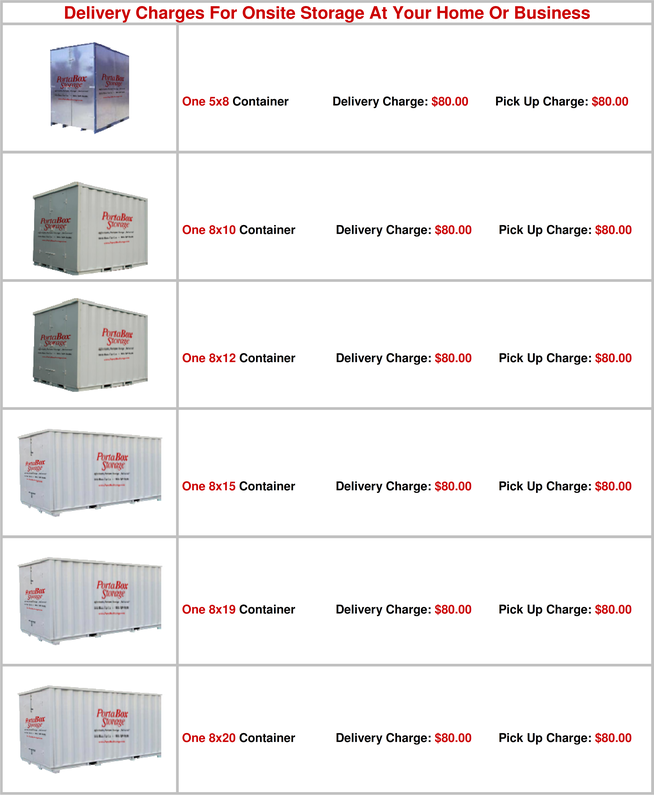 8'x10'x7' 6", 8'x12x7' 6"', 8'x15'x7' 6", 8'x19'x7' 6", and 8'x20'x7' 6" (WxDxH) we can deliver 1 container at a time. How are the containers loaded and off loaded on the truck? With our 5'x8'x8' (WxDxH) containers a forklift is used to place containers where you want and keeps the containers level at all time. With our 8'x10'x7' 6", 8'x12x7' 6"', 8'x15'x7' 6", 8'x19'x7' 6", and 8'x20'x7' 6" (WxDxH) containers we use a towing wrecker to roll your container on and off the truck. How much does a PortaBox Storage container cost? Depending upon your zip code and the size of container you need, PortaBox Storage rates are usually less expensive than mini-storage. 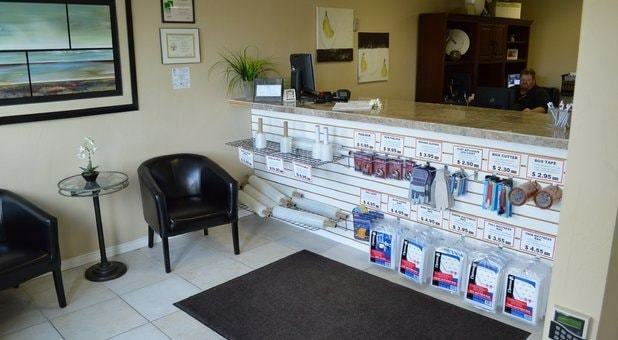 View our Unit Prices page for more information. Can you store my Car or Boat? No. We are not equipped to provide storage for a Car or Boat. What other items should I consider? You can order additional valuation coverage as well as locks, packing cartons, supplies, and pad rental. Please ask your Customer Care Representative about these options. Do you have insurance that I can buy? We do not sell insurance. We do have Valuation which is a dollar value protection that may be purchased as additional coverage. When will I receive my monthly statement? Your statement will be emailed monthly on the anniversary date of your storage rental agreement date. Can I have my monthly fees automatically charged to my Debit or Credit Card? Yes, this is how most customer set up their accounts. Please advise our Customer Care Representative when they call to confirm your order. When will my Debit or Credit Card be charged each month? Your debit or credit card will be charged monthly on the anniversary date of your storage rental agreement date. What do I need to do to close my account? Simply call us at (801) 331-5799 and tell us your redelivery ZIP code, the approximate date you’d like to schedule redelivery and bring your account current. We need 10 days notice for closing account redelivery, however we can often accommodate redelivery requests on shorter notice. Please contact our accounts receivable department by calling 801-331-5799 for any questions. Listed below is a list of our Delivery & Pickup Rates within the Salt Lake Valley. For Delivery & Pickup Rates outside the Salt Lake Valley please call our office at (801) 331-5799.